You’ve just registered your first online casino account. You can’t wait to make your first deposit and start playing for real money wins on the hundreds of games available. But you might want to consider a few important points before you get going. To get you started on the right foot, we’ve listed a few tricks to help you effectively manage your online casino bankroll. Just like with your household budget, before you settle down to enjoy your favourite online games at your casino of choice, you’ll need to set out a gaming budget – and stick to it. 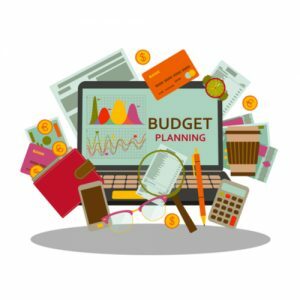 It might sound like a bit of a chore, but setting aside an hour or two to draw up a budget can make a massive difference in the long run, ensuring that you’re not left with any regrets due to overspending. A good place to start is to figure out how many hours a day and how many days a month you’d like to play. Once you’ve got this part sorted, take your total monthly gaming allowance and divide it accordingly. This way, you’ll know exactly how much you can spend each time you log in to play. It’s absolutely imperative that you look at these funds as expendable. The moment you try to factor in any ‘recovery’ in your budget (in other words, expected wins), you’re treading dangerously. Once you’ve taken these responsible steps, you’re about ready to start playing for real money at your favourite online casinos. Making emotional decisions never ends well. Remember that this doesn’t only apply to a losing streak – it goes for a winning streak as well. Before you make any decision, you should take time to weigh up the pros and cons of your actions. If you don’t, the chances are that your next move won’t be a logical one – and could result in potential disaster. If you’ve just experienced a devastating loss and want to try to regain your diminished funds or have just hit a big win and start to get lost in the excitement of the moment, resist the temptation to ‘go big or go home’. Rather, stick to a consistent betting strategy. As you win, increase your bets in line with your total balance. Consistency is the key here. On the other hand, if you’re not getting the win you were hoping for and begin to feel frustrated, take a break and return to play with a clear head. Here’s the thing about focusing on negatives: worrying about them won’t change anything. This might sound quite harsh, but understanding and accepting the reality of losses in an online casino is something that every gambler should prepare for. Keep in mind that by now, you’ve set aside a disposable budget. You wouldn’t get upset about buying and enjoying a delicious cocktail at a fancy restaurant, would you? So why should you feel any distress when logging out of your account after playing some of your favourite online games? You win some and you lose some. It’s better not to focus on your losses and rather look forward to your next win. This kind of thinking will keep you in a positive frame of mind and always set you up for a winning experience, no matter the outcome. Playing at any casino, whether online, land-based or on mobile, is ultimately about having fun. Getting too serious can ruin the entire experience. Of course, part of the thrill will always be the chance of hitting a life-changing win, but making winning your primary objective is not the way to go. Just leave things in Lady Luck’s capable hands, go out there and enjoy yourself!